you might have noticed that we kind of like each other. we’ve been married for almost ten years now. that’s so weird to say out loud! the two of us met during those awkward teenage years, when we were fifteen years old. we were just friends for the longest time. now, we’re a family of four. you can catch us spending our off days with our little one, liam and golden retriever, jack. hey there! we’re jenn & derrek, we’re a husband and wife team specializing in wedding photography and cinematography. 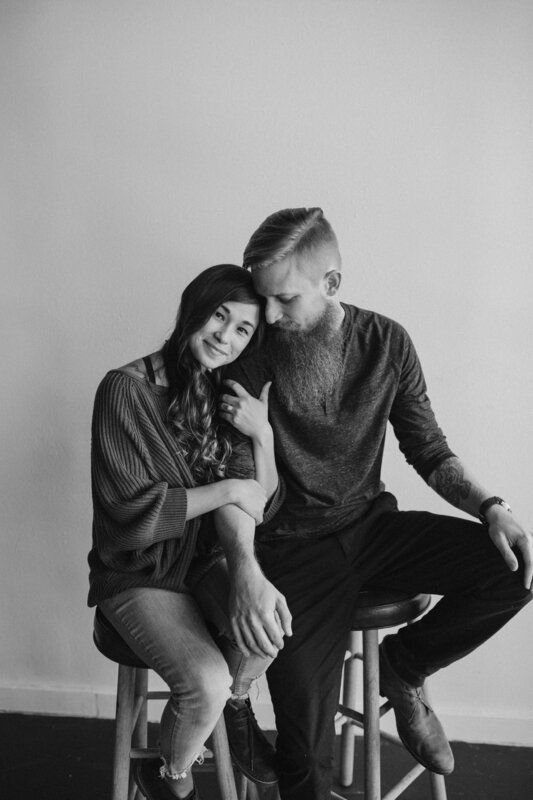 together, we’ve been documenting couples and their stories since 2010. to say we love our job would be an understatement. our home town is jacksonville, florida, but we’re often on the road for work. some of our favorite destinations have been italy, scotland, bali, & mexico. we’re always up for new adventures, especially if we get to travel. we’re both really passionate about film photography. for us, there has always been something so nostalgic about it. we both grew up shooting with 35mm cameras. because of our love of film, we’re what you would call ‘hybrid shooters’ meaning we shoot a mixture of film & digital medium. our aim has always been to create timeless photos that would see the hands of multiple generations. we totally get how personal hiring a photographer is. we’re photographers & we still get so awkward when cameras are pointed in our direction. we’re here to help! we’ve always thought that building a relationship is the most important part of hiring a photographer. total bonus if we come out of this as full on friends! some of our favorite people are past couples! on that note, we would love to sit down for coffee or hop on a call to better acquainted. let’s get to know each other. please email us at hello at love flora fauna dot com.